I promise you won't leave your computer for 4 days straight. musician or have any experience, we made it super user friendly to make your own beats and you won't believe the quality of the sounds we packed it with. In addition to the the sequencer and tutorials on how to use it, we have jam packed the members section with production lessons in Logic, ProTools, software instruments, keyboards and much more. You will also get to download high quality beats and instrumentals and show off the beats you make with MegaMusicMaker. Enter our contest with your best beats for your chance to win $500. 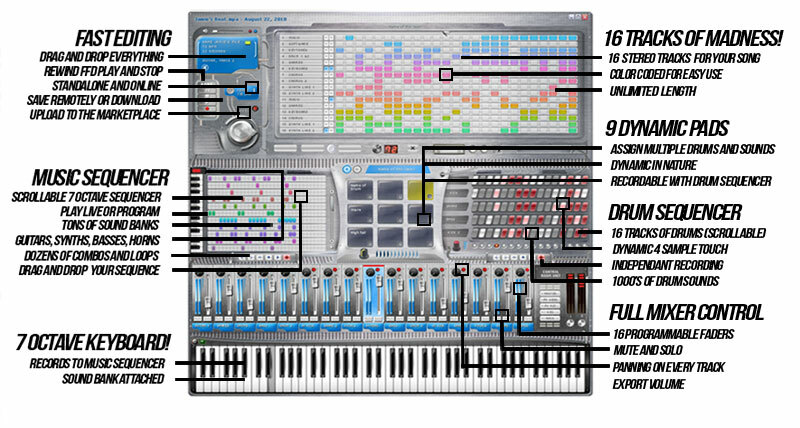 MegaMusicMaker is an incredible cutting edge music sequencer with mp3 export capability. 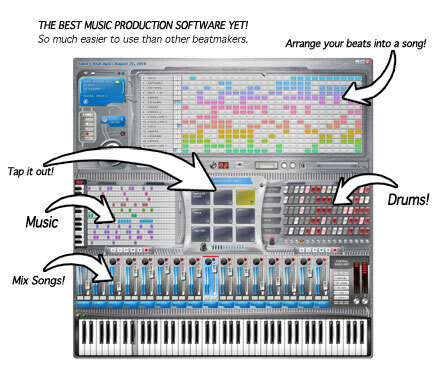 MegaMusicMaker also features music production tutorials with different keyboards, studios as well as tutorials on how to use the MegaMusicMaker application. All this is available online through the "members area" and contains everything including the software, sounds and the system of video lessons and documentation. Privacy notice: We do not share your info with anyone! We HATE spam!